1. The undisputed winner on Twitter for Third Sector was our cover stars story. 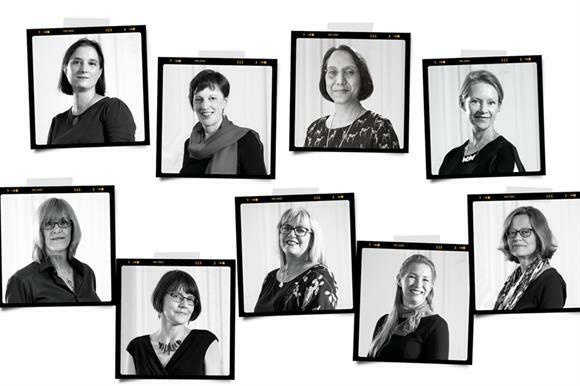 We celebrated the new generation of women who are in charge of sector organisations, including the likes of Adeela Warley, Sue Tibballs and Vicky Browning. The feature aroused plenty of debate as well as shining a light on these leaders. 2. Runner-up to our cover stars was one of the most impressive charity campaigns of 2018, with a bittersweet festive feel for December. Refuge launched a series of reversible poems that appeared to revel in the joys of family Christmas until you read them from back to front. A hard-hitting campaign that also featured in Kirsty Marrins’ top digital campaigns of the year. 3. Following very closely behind in third we remember the freezing temperatures of March when the Beast from the East struck the UK. We asked charities how they were coping with the snow and they responded in their droves. 4. In fourth spot is a topic always at the forefront of charities’ minds: funding. The Paul Hamlyn Foundation's new Backbone Fund would award grants totalling £1.5m to seven organisations. 5. We go right back to the beginning of the year for fifth spot with Prince William entering the sector debate, telling the Charity Commission that charities should collaborate more, sharing expertise and resources. 6. Third Sector’s Charity of the Year awards winner. 7. Legacy donors over 40 on the rise. 8. The Dogs Trust is one of the most active charities on social media. Head of marketing Jacqui Darlow told us why during Third Sector's Fundraising Week conference. 9. Sajda Mughal, chief executive of the JAN Trust, wrote a powerful opinion piece on funding for unpopular causes. 10. Deborah Alsina, chief executive of Bowel Cancer UK, discusses why a merger with Beating Bowel Cancer made sense for both organisations.